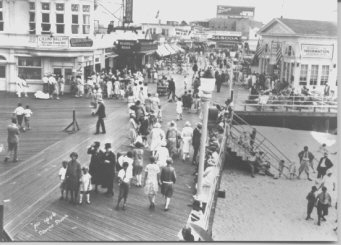 The first boardwalk in Ocean City, NJ built around 1890 and ran through the intersection of 9th and Ocean Ave. Over time, it was rebuilt closer and closer to the ocean. 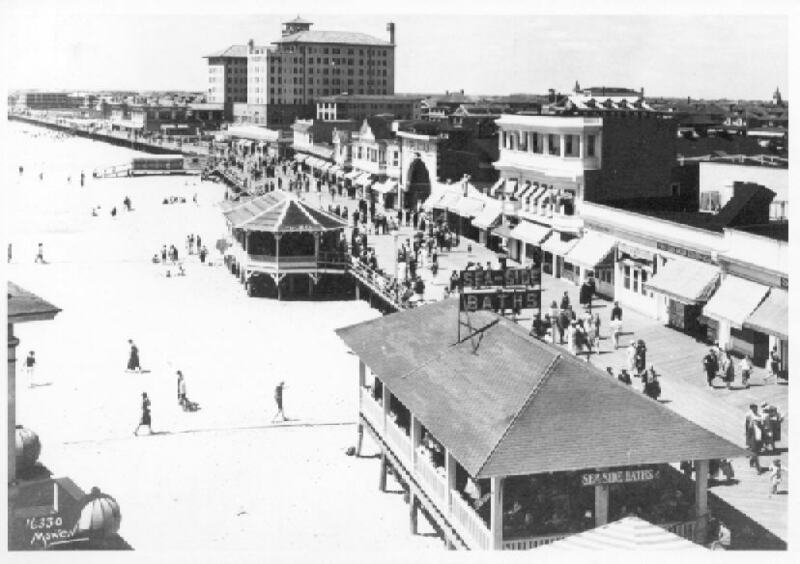 Today's boardwalk (the fifth at 9th Street) was built in 1928 after a very large fire in October of 1927. 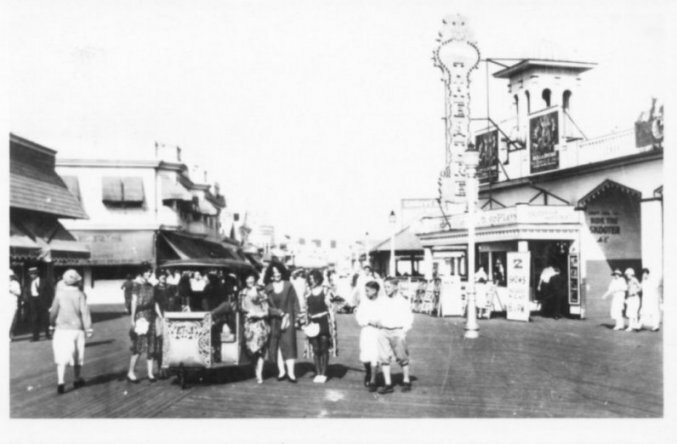 Before the 1927 fire, the boardwalk was very much developed, but sat 300 feet east of where it is today. 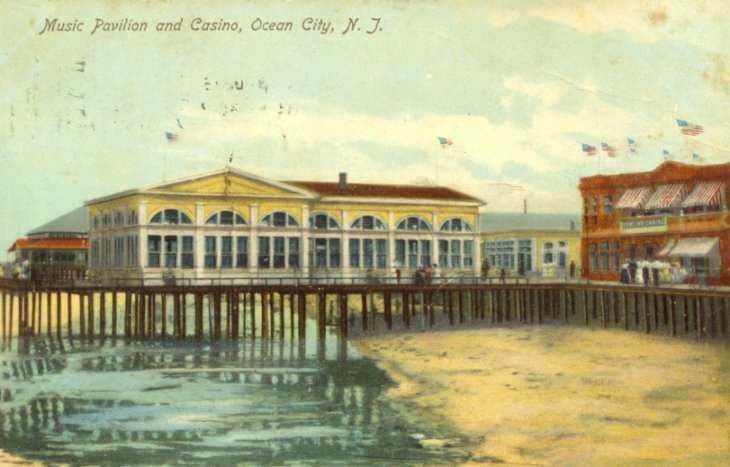 The pre-1928 boardwalk was built in the 1904. Below are some scenes of the turn of the century boardwalk. Faunce's Theatre (later the Plaza Theatre) was between 9th and 10th street. Sometime before 1920. 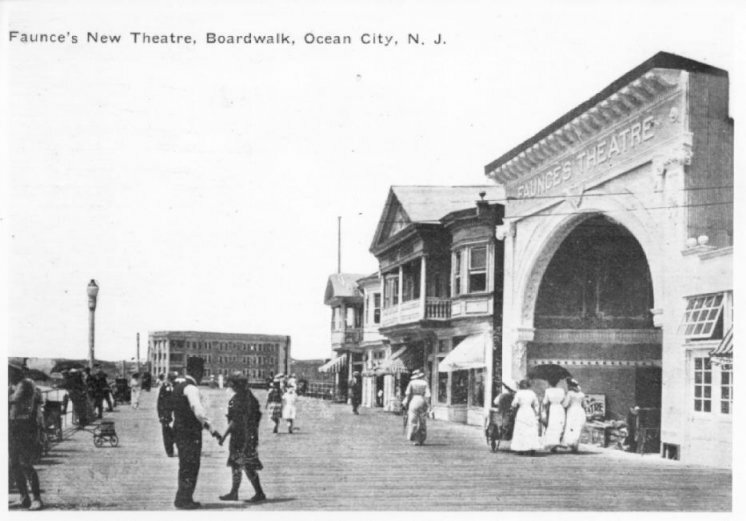 A later view of the Boardwalk (early 1920's) showing the Plaza Theatre. 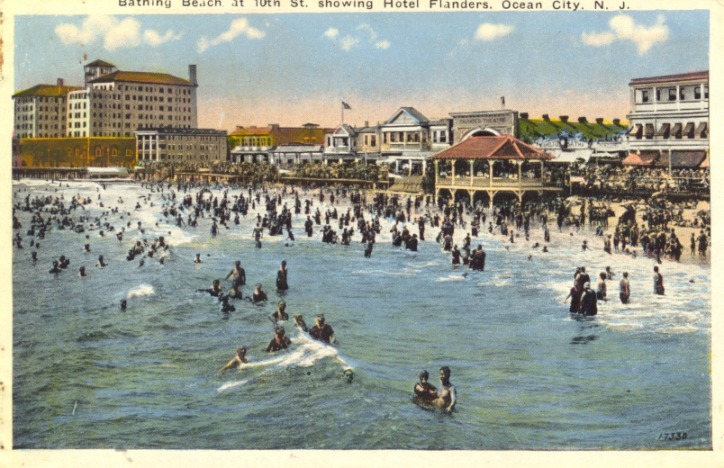 Almost the same scene, shown on a colorized postcard postmarked 1930. Another group mugs for the camera at Ninth Street. 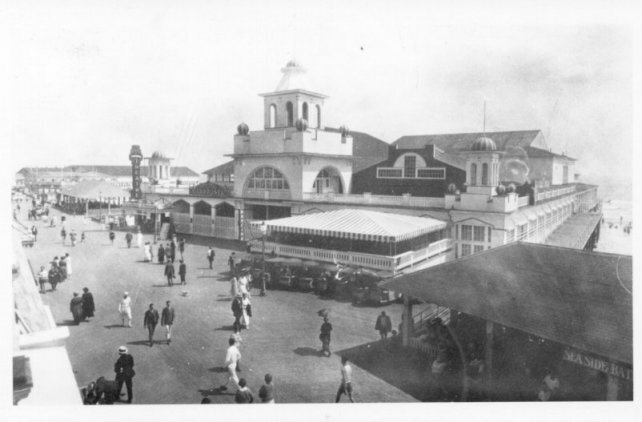 On the right is the Hippodrome Pier, which included arcades and a theatre. 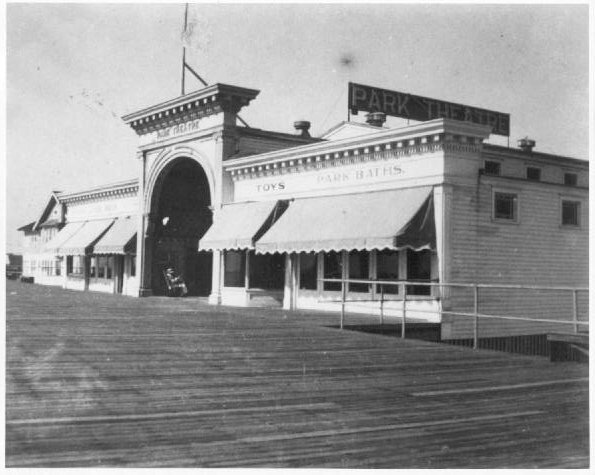 The Park Theatre, which burned in the 1930's. 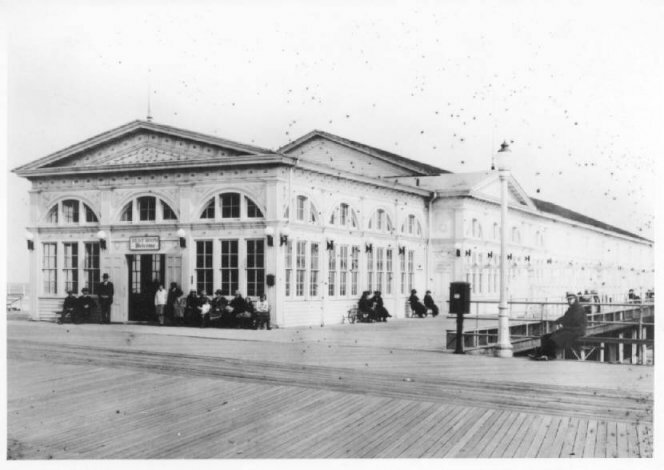 The original Music Pier at Moorlyn Terrace. 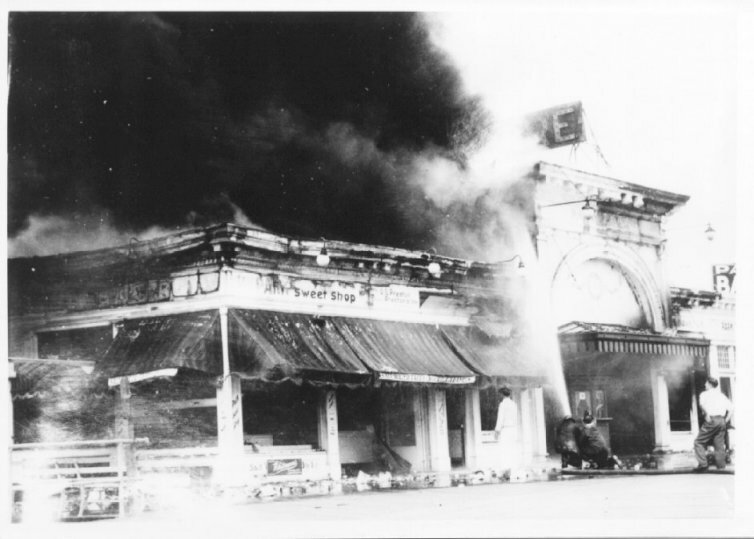 It was moved north about 4 blocks after the 1927 fire, and then burned down in the mid-1960's.